The stream of people moving to Texas has received much attention in recent years. Migration has added around a quarter million new Texans a year, and this has raised concerns about whether the state can accommodate this kind of growth. 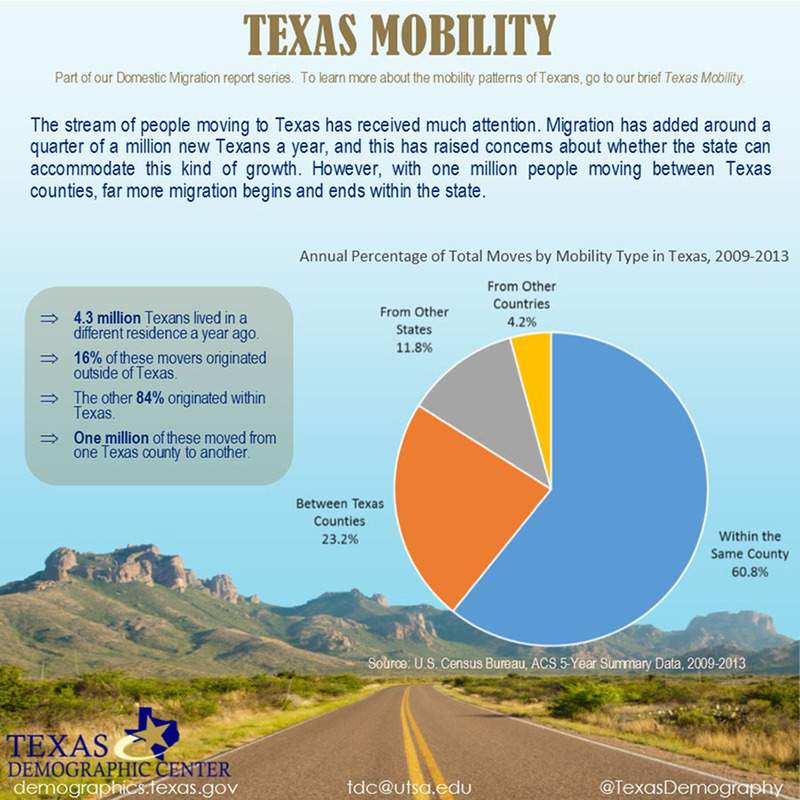 However, with one million people moving between Texas counties, far more migration begins and ends within the state. Unlike domestic and international migration, these internal moves cannot change the state’s total population size. However, internal migration can simultaneously cause some counties to have population growth while others experience population decline. As such, the population changes from external and internal migration pose different challenges for Texas’ planners and decision-makers.